We were looking for a relatively easy family hike to kick-off the season and the Lonesome Lake Trail in Franconia Notch was the perfect fit. The trail has an elevation gain in the neighborhood of 1000 feet, most of which occurs over a .8 mile stretch that switchbacks up the mountain. This segment of the trail can be challenging for young hikers or those of us still getting our “legs” under us as it is rocky and fairly steep. The trail comes out on the northeast side of the lake and continues all the way around traversing a network of boardwalks over boggy areas. I’m not sure how this body of water got named a lake, I thought there was some size requirement, because this seemed more befitting a small pond. Or congested stream. Even so, it’s worth the effort. There’s a small beach just after the outlet on the southwest corner that is easily the pinnacle of the hike. It delivers a serene, picturesque view of the lake framed by Franconia Ridge in the background. Or at least it was serene before we got there. My twenty-month-old son, whose nap time was admittedly being trampled upon, went on a textbook, thirty-minute meltdown because I prevented him from waddling into the lake and getting hypothermia. What can I say? My bad. 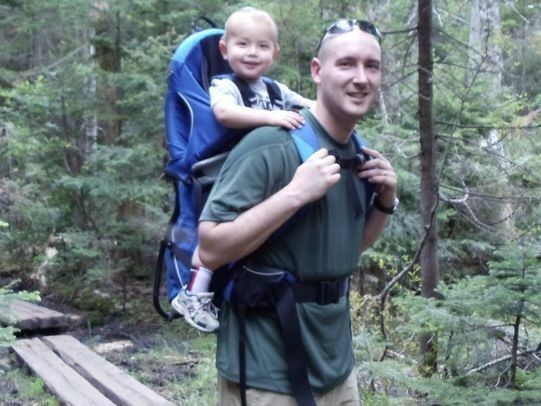 Even on days when my son isn’t scaring the wildlife, those adverse to crowds should be forewarned that Lonesome Lake is a popular destination with an interesting hiker dichotomy. The trailhead is located at Lafayette Place Campground, which feeds a good number of people up the mountain. Amongst the many people we encountered, we met a mother and her two children carrying fishing poles; what struck me as odd with them was the fact they didn’t also have water bottles. Granted, there is an Appalachian Mountain Club hut just beyond the beach where refreshments presumably can be purchased (we didn’t go in on account of the meltdown), but still. On the other end of the spectrum, the Appalachian Trail intersects with the Lonesome Lake Trail for a short stretch culminating at the beach. The end result is through-hikers with their expedition packs meeting spur-of-the-moment hikers with no water. It’s hard to say who looked more out of place. Then again, my screaming child cleared the area like a spider at a Mary Kay party, so I guess that’s that. Take I-93 in New Hampshire to Franconia Notch. Northbound traffic can park in the trailhead lot for the Falling Waters and Old Bridle Path trails (there’s a walking path and tunnel that goes under I-93 to where the Lonesome Lake Trail can be accessed). Southbound traffic should exit at Lafayette Place Campground. The parking lots fill up quickly so it’s best to arrive early. No worries on the sign, I believe the no-picnics refers to the campground, which the trail goes through. Literally. It’s a little weird to be hiking past people cooking burgers and playing Yahtzee, but it’s a brief part of the trail. 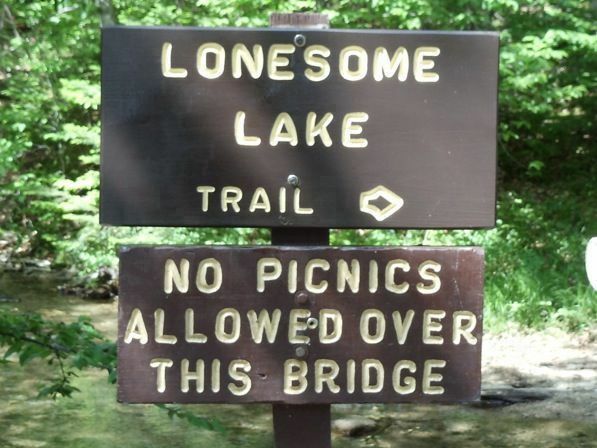 As far as the picnics go, we ate at the lake and no one asked us to leave. 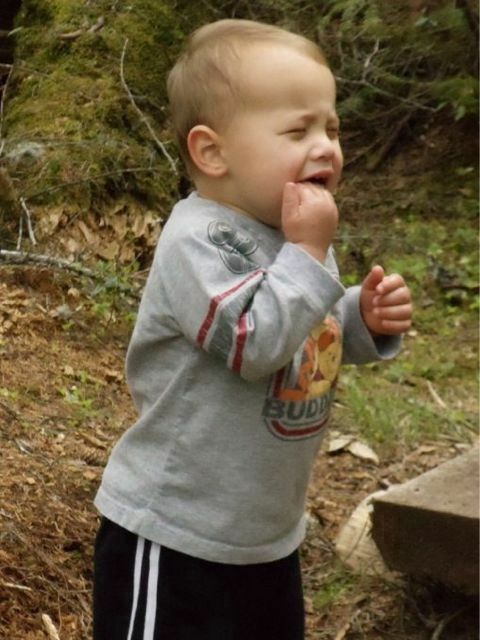 Family hiking is all fun and games until the toddler has a meltdown. 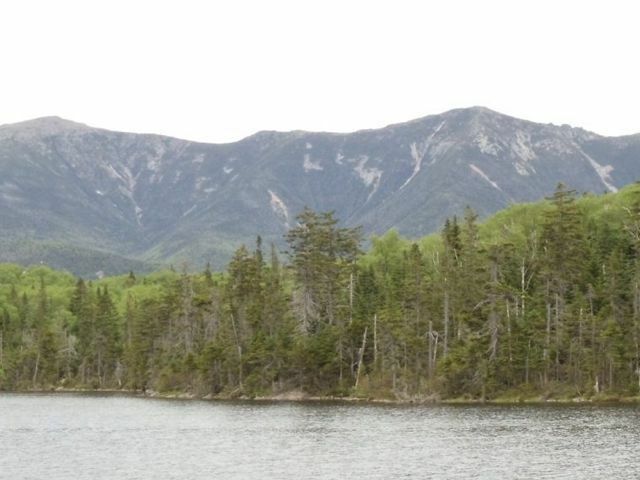 View from the southwest shore of Franconia Ridge covering Mt. Lincoln and Mt. Lafayette.